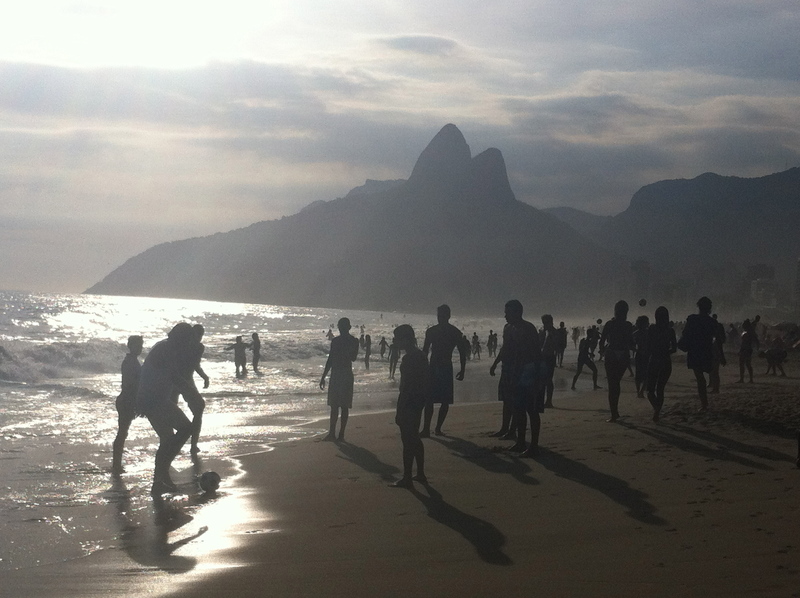 21 thoughts that might cross your mind while you’re sitting on the beach in Ipanema | Jorge Sette "Linguagem"
1. Why didn’t I go to the gym more regularly for at least six months before I decided to come here? 2. Oh my God, can this water get any icier? Impossible to swim here. 3. I’d love to have two bags of these GLOBO chips. 4. I’ll have the açaí with muesli and banana. 5. Why is everybody running away while these dark-skinned boys are chasing after them? 6. I’ll ask the nice lady sitting to my right if she would mind looking after my stuff while I go for a quick swim. 7. Don’t they mind my overhearing their private conversation about how they’re cheating on their wives? Turn it down. 8. Has marijuana been legalized in Brazil? I can’t see anyone NOT smoking. 9. What a view they must have from Vidigal. 10. Those three must be from São Paulo. 11. Isn’t that Chico Buarque walking along the sidewalk? 12. I have never seen these gringos this happy when they are at home. 13. I must stop after this one. I believe this is my fourth caipirinha. 14. Maybe I will get the beach towel with the Christ the Redeemer on it. 15. Jesus, they should get a room. 16. OMG, that wave was a little tsunami and washed all that guy’s clothes and belongings away. 17. Are they really going to try on the speedos right here on the beach before buying them? 18. Wow, it looks like we are going to have a beautiful sunset today. Will be standing on Pedra do Arpoador in 30 min. 19. Will go ITAU biking later on. 20. Time to shift position and stare at the Two Brothers now. 21. How many more years do I still have to teach English to be able to buy that penthouse over there? This entry was tagged caipirinha, Christ the Redeemer, flamengo, Ipanema, jorge sette, linguagem blog, morro dois irmãos, Rio, rio de janeiro. Bookmark the permalink. I’ll be having this thought too soon.